Over 2,000 public agencies in 48 states use OpenGov software. 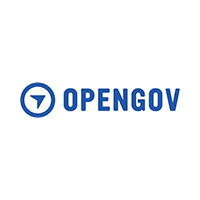 Founded in 2012, OpenGov customers include the State Treasurer of Ohio, the city of Minneapolis, MN; Maricopa County, AZ; and Washington, DC. OpenGov is backed by Andreessen Horowitz, Emerson Collective, 8VC, and Thrive Capital and has headquarters in Redwood City, CA.